Perhaps the passion of one man turned around the idea behind Spring Valley vitamins. Owner Ken Ellwood's dream of passing on his knowledge of natural vitamin alternatives is one reason this company is so special. Founded in 1969, Ken Ellwood bought the Spring Valley Herbs and Natural Foods Company in 1981. This was a personal choice for Ken, who saw his own daughter healed from heart disease through natural supplements. Located in Springfield, Missouri, Spring Valley is dedicated to finding the best herbs and natural remedies through a staff with a combined knowledge of twenty years of experience in both the health and food industries. Spring Valley partners with alternative medicine doctors and uses continuing education and research to not only offer healthy foods and herbs but also their line of vitamins. Spring Valley is a successful worldwide venture. The vitamin and supplement offerings at Spring Valley include vitamins A, B, B complex, C, E and K. Along with the standards, they also offer antioxidants, digestive enzymes, herbals and homeopathics, amino acid, calcium, magnesium, CoQ10, and acai berry supplements. You can also choose from minerals, weight loss supplements, probiotics, acidophilus, omega-3, fish oil, essential fatty acids, and even children's supplements. Part of what is behind Spring Valley is a commitment to selling only the best researched and natural vitamins and supplements. The vitamin B product line includes B-12 lozenges, B-6 sustained release capsules, and B-3 niacin tablets. Vitamins A and D come in A&D capsules, vitamin D-3 and calcium citrus combined with D-3. Vitamin E can be found in both capsules and soft gels and vitamins K, K-1 and K-2 come in both tablets and capsules. The vitamin C line is extensive including C with rose hips, buffered crystals, C with Echinacea, non-acidic C, and stress formula C. All of the Spring Valley Vitamin standard essentials are priced affordably and each lists complete ingredients along with recommended daily dosages. The herbals are made with the vegetarian in mind offering noni, acai, goji, and red yeast rice extended release capsules. Cocculus Compositum, often used for vertigo and dizziness, can be found in the homeopathic section along with syrups and face serums. Acidophilus is offered in powders, pearls, capsules, and chews. Beyond the norm, you'll find specialty items such as acidophilus and carrot juice or goat's milk. Again, all of these come with a detailed list of each natural ingredient and recommended doses per day for both adults and children. Omega-3s are available in enteric-coated soft gels, MaxEPA Omega 1,000 mg soft gels, and Omega 3-6-9-D junior soft gels. Fish oils and essential fatty acids include hexane-free soft gels with EPA and DHA, flax oil capsules, and green tea and resveratrol. Both the omega-3 and essential fatty acid line up offer a break down of each type of fish oil or fatty acid included in the vitamin as well as dosage recommendation. Children's vitamins are not out of fashion at Spring Valley, nor will the kids mind the tasty chewables and lozenges. Kids will be delighted with their multivitamins available in natural orange, berry, cherry, and pineapple flavors. Spring Valley offers veggie enzyme and acidophilus chews. Essential vitamins, omega-3s and herbals are also available with natural ingredients with the child dose in mind. Online shopping at Spring Valley is easy. 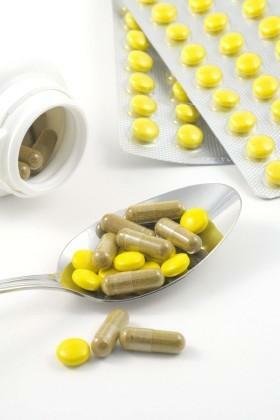 Click on the Supplements tab to browse the wide range of vitamins and supplements. Each product comes with detailed information, shipping information and bulk buying discount information. Add desired products to your shopping cart and check out with their secure server. Customer service for questions is a just a toll-free phone call away. Since 1969, Spring Valley vitamins has offered some of the best and natural vitamin products on the market. A commitment owner Ken Ellwood, through the inspiration of his daughter, makes this vitamin and supplement company special. .